HELP is our middle name. We connect people through the power of community — whether you want to achieve wellness or optimal health. The following website links and information are a quick access of products, services, and Wellness Partners who have provided outstanding customer service for our patients. We encourage you to explore these websites and practitioners! We are a foot and ankle specialty treating various conditions affecting the lower extremities. We are surgically based which includes corrective, trauma and reconstructive surgery as well as palliative foot procedures. We specialize in sports medicine as well as podo-pediatrics. We have over 25 years of experience in the field and are based in a teaching hospital with 9 surgical residents in training. Oasis Chiropractic Say’s: Dr. Starkman sends our patients to receive the same care that the Miami Heat players get. Dr. Losito is at the top of his game. Dr. Sinnreich is a highly accomplished Orthopedic Surgeon with more than 30 years of experience and knowledge in his specialty. His practice, Extremity Preservation, focuses on hips, knees, shoulders and other extremities while specializing in minimally invasive hip and knee replacements. He is exceptionally skilled in the latest techniques of injectable cellular augmentation with PRP and growth factors, using diagnostic ultrasound. These techniques have been proven to help treat Rotator Cuff Tendonitis, Golf and Tennis elbow, Achilles Tendonitis, shoulder, elbow and knee pain. Oasis Chiropractic Say’s: Dr. Sinnreich is the only orthopedic Dr. Starkman refers. He’s known him for 30 years and knows that he’s exceptional in his specialty. Dr. John Martin is an oculo-facial surgeon in Coral Gables. In his office he performs face and neck lifts, brow lifts, and eyelid surgery. He has a wide variety of lasers which are used for skin rejuvenation, hair removal, stretch mark and scar removal, and vein removal. He injects Botox, Dysport, Restylane, Voluma, Scuptra, Radiesse, and fat. The office also offers Ulthera which is deep ultrasound treatment to tighten the skin. Oasis Chiropractic Say’s: If you want to fight the aging process and achieve a fresh and natural looking result with the most qualified facial plastic surgeon in town, then Dr. John Martin is the one! Dr. Martin always ensures his patients are 100% satisfied with their procedures. His staff is friendly and helpful and his expertise and state of the art technology will have you leaving his office thinking you’ve indeed discovered the Fountain of Youth. John J. Martin, Jr., M.D. Positively Pat is a health and wellness community helping women going through breast and other types of cancer. Part of that community is The Link of Hope Sistas, a loving support group where we support one another, inspire, educate, encourage and give hope. My Book: THE CANCER DANCER will guide you and your loved ones from a cancer diagnosis to discovering a new and more joyful way to live. In THE CANCER DANCER, I share useful patient-to-patient and caregiver tips and information learned in the midst of my breast cancer roller coaster. My goal is to ease you through your own healing maze in the most fearless, comfortable, educated and empowering manner . . . helping you shift from shock to love, appreciation, gratitude and healing. Oasis Chiropractic Say’s: Pat has been such an amazing resource for our patients going through the challenges of breast cancer treatment. Her book is an inspiration to everyone. She’s provided guidance and comfort for so many women. She continues to be our number one asset for information about breast cancer awareness, treatment and breast health. Doctor Valeria Salinas-Sanchez is board certified, specializing in Pediatrics. Doctor Salinas-Sanchez is a highly experienced doctor, with over19 years of practice in the field and is highly regarded by her patients. She won Patients’ Choice Award in 2011. Patients say that she really takes the time to listen to how your child is developing. She is affiliated with several top rated hospitals in Miami. Dr. Salinas Graduated from Jackson Memorial Hospital /Jackson Health. Morning Side Pediatrics is a wonderful office with a friendly medical staff. 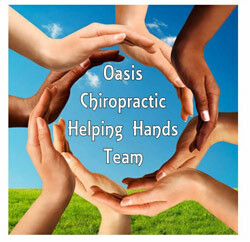 Oasis Chiropractic Say’s: Dr. Salina’s is one of the few great holistic pedestrians in the area. We refer all of our patients to her office. Cali is a seasoned addictions coach and therapist. She has over 18 years experience working with drug, alcohol and food addictions. Her deep understanding of addictions and her unique background and blend of therapy mesh to assist the client in meeting their needs. Oasis Chiropractic Say’s: We’ve known Cali for a while and we know she cares deeply about her clients and the care they receive. Above are some different resources from our wellness community. None of these resources are directly affiliated with Oasis Chiropractic Center or Dr. Starkman. The opinions expressed are those of Dr. Starkman and they ARE opinions. listed above and decide for yourself.